Biomass burner structure, fuel combustion completely, the boiler thermal efficiency of 90% or more, the combustion process of smoke-free dust, the fuel completely burned only a small amount of powder-like ash residue, retained in the ash chamber, easy to handle, smoke Emission concentration is lower than GB13271-2001 "boiler air pollution emission standards" provides alternative to electricity, fuel, coal, gas steam boiler. Flame stable when burning, can achieve continuous production of steam. 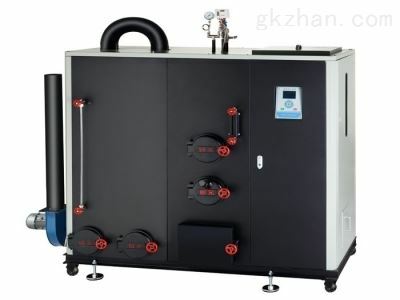 The fuel used by the boiler itself belongs to the state to support the promotion of energy-saving environmental protection biomass fuels, energy-saving and environmentally friendly renewable energy, wide range of sources, affordable, the operating cost of electric boiler is one-sixth, is the oil boiler third one. Control system: equipped with microcomputer control system, you can adjust the fuel condition, the whole need no special care. Biomass steam boiler protection device is safe and reliable. Optional high-quality pressure control machines, safety valves, low water level, overpressure, overheating protection and other multiple protection devices to ensure safe operation of the boiler. The overall structure of the boiler is compact, small size, no noise, easy installation, very low failure rate. After the fuel is completely burned, only a small amount of powdered ash residue is easy to handle.